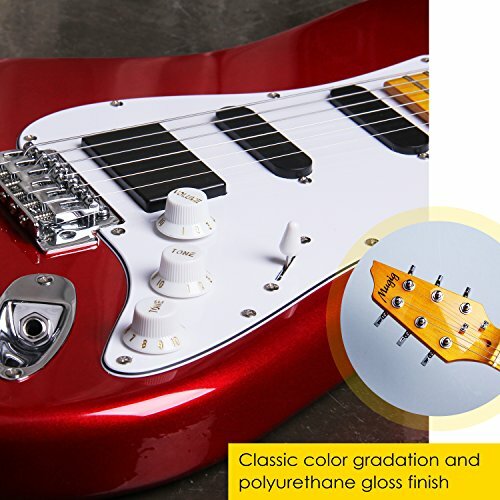 39-inch electric guitar, full size, ST type, and glossy surface paint with extremely comfortable feel and unique and fanatical metallic red style. 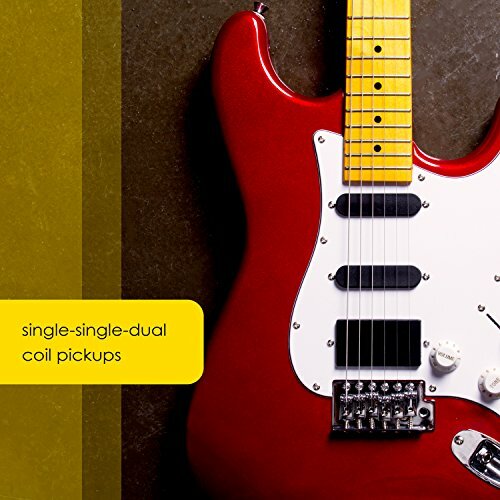 Two Single-coil and one Humbucker pickups, are resistant to noise. The humbucker pickup makes the sound stronger, and the output power greater, bringing full distortion to playing. Suitable for blues, pop, jazz, fusion, rock and other styles in your guitar playing and performances. Made by high-quality materials. The neck and fingerboard are made of maple and the body is poplar. 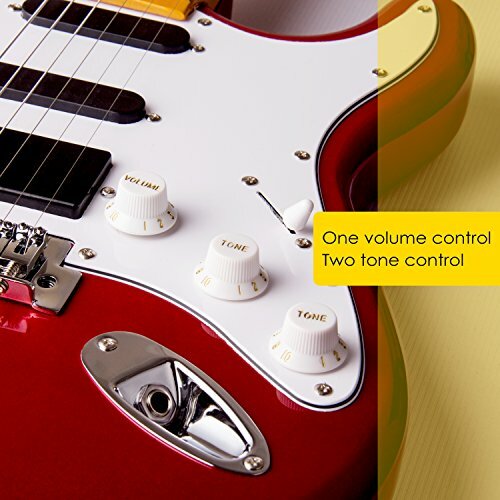 Three knobs of volume control, low frequency tone adjustment, and high frequency tone control, feel comfortable and accurate. Five changes through the bridge. 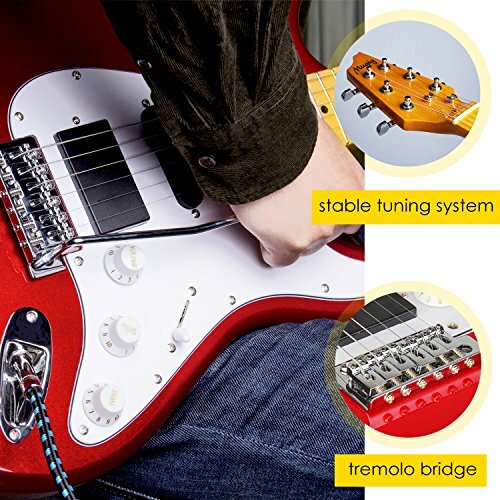 The first brings the bridge pickup to work, the second brings the bridge and the middle pickup to work, the third brings the middle pickup to work, the fourth brings the middle and the neck pickup, and the fifth brings the neck pickup. Package including handle *1, 4mm hex screwdriver*1, 1.5mm hex screwdriver*1, guitar bag*1, 3m audio cable*1, desiccant*1. 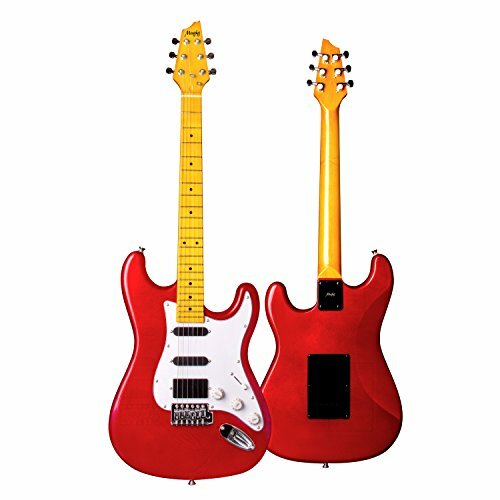 This is a electric guitar for those who want to stick with playing guitar and commit to not fade out. It can really accompany with you for years if you are going to advance. 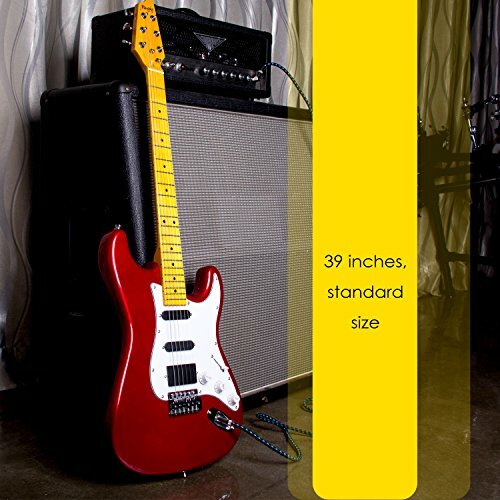 39 inches full size electric guitar with ST sharp. The whole guitar body is made from high quality poplar wood and glossy. Its fingerboard is made from a piece of good maple wood and it is glossy too. 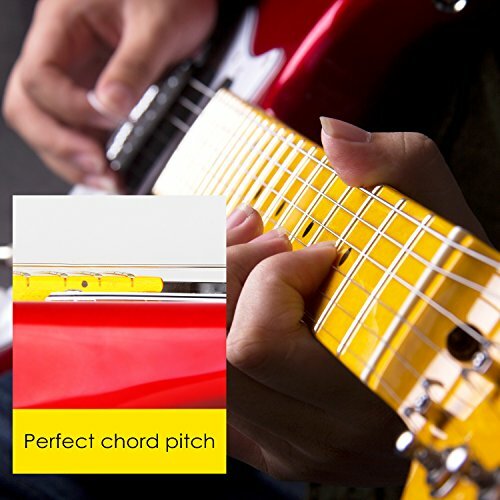 Single-single-double coil pick design, anti-noise, more powerful. Volume, treble and base adjustable, crank included to increase sustain. All the mugig products has 6 months warranty. We provide professional guidance about guitar and other instruments, please feel free to make contact. Tips: It requires a few while for a guitar to adapt itself with new strings. 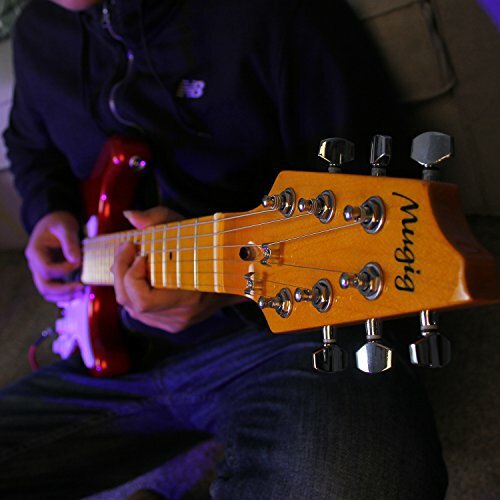 So you might need to re tuning the strings for several times when you just get your guitar. It is universal among string instruments.